We’re pretty excited this week because Sandos Playacar Beach Resort was named a 2017 Favorite by the Family Vacation Critic website. 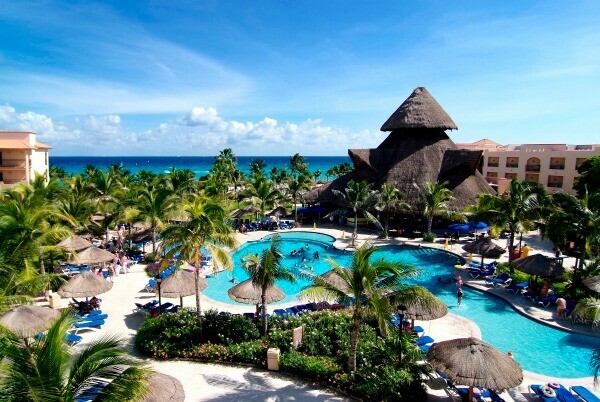 This travel site is dedicated to recommending and selling the best family-friendly travel and tourism products found in destinations across the globe, including the stunning Riviera Maya where our resort is located. 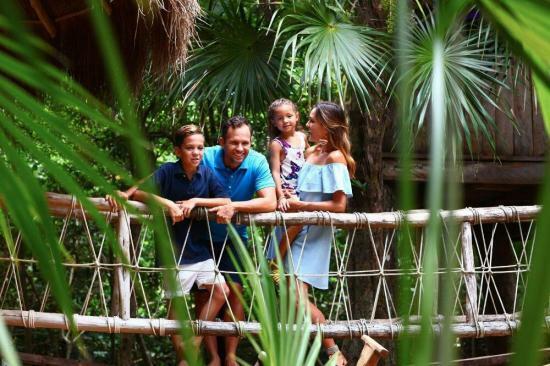 It’s an honor for us to be listed among the best family hotels in Mexico, and everyone who has stayed with us knows just how hard we work to offer unforgettable vacation experiences for all ages. For little ones, we have an on-site Kids Club for ages 4 through 12 years old, where they can have a blast with a variety of supervised activities like crafts, movies, puppet theater, sports, games, a mini pool, a treehouse, and so much more. We also have our Lite Teen Club here at Sandos Playacar Beach Resort. 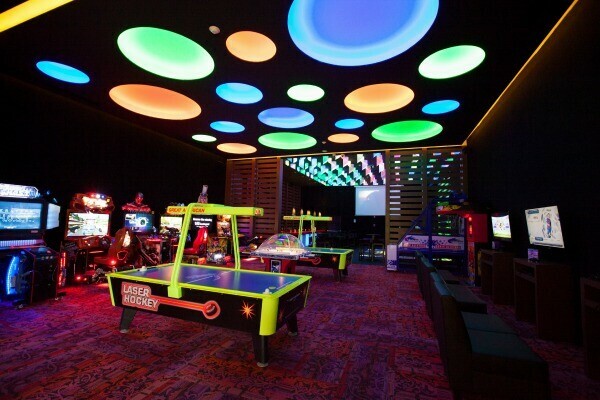 This fun space offers a supervised place where teens ages 13 to 17 years can let loose and have fun with air hockey, video games and more, not to mention the refreshing drinks from the soda bar. The Lite Teen Club also has an illuminated dance floor for special events, as well as theme parties for teens every night of the week. Plus, our All-Playa Experience offers you a different beach party every day of the week, each inspired by a famous world beach like Thailand, Jamaica,Cobacabana and more. Here, your family can enjoy contests, sports, food and music from all over the world. But don’t worry, grownups… it’s not just about the kids at Sandos Playacar. Parents will find so much to do! While the kids are playing, parents can spend an afternoon in our outdoor hydrotherapy area at Spa Sandos, featuring jacuzzis and hydromassage areas so you can experience true relaxation. For something a little more active, stop by the water sports center on our huge beach so you can explore the waters of the Caribbean Sea with snorkeling, sailing and kayaking. And of course you’ll also want to spend plenty of time together as a family during your Riviera Maya vacation. We have so many options for family fun at our All Inclusive hotel. In the center of the resort, you’ll find a lovely miniature golf course for some friendly parents vs. kids competition. Afterwards, stop by the Cupcake Café to satisfy your sweet tooth with mouthwatering desserts and refreshing drinks. For families who want to explore the city of Playa del Carmen, you can enjoy a bike ride and really get to know this beautiful destination. 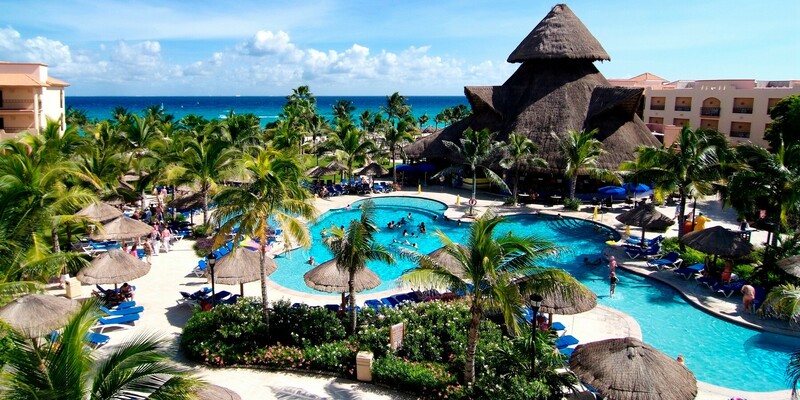 The main pool area at Sandos Playacar Beach Resort is a favorite spot for families visiting our hotel because in the pool area and on the beach we offer all kinds of activities and sports throughout the day. Thanks so much to the Family Vacation Critic travel site for recognizing Sandos Playacar Beach Resort and everything we have to offer families vacationing in the Riviera Maya. At our All Inclusive resort, we always have excellent options so that ever single member of the family can enjoy an unbeatable experience during their stay in Playa del Carmen, Mexico. Sandos playacar el mejor hotel .Ya fui 3 veces y voy a volver el próximo año!!!! Muchas gracias por tus comentarios, Cecilia, ¡ya te estamos esperando con mucha playa y sol!